This is your opportunity to leverage your purchasing and planning experience, chart your own course, and take charge of your career! Picture yourself in a more impactful role with a growing, global manufacturer. Here you can use your expertise and best practices to help save money and truly impact the company’s profit margin, ultimately putting money back in your pocket. Enjoy the stability and benefits of a large multi-site organization but with the feel and support of a close-knit environment where your impact is visible. Allied Motion Technologies, a large and publicly traded precision and specialty motion control components and systems manufacturer, is searching for a Buyer/Planner to join their Watertown, NY team. This is a critical role where you are responsible for purchasing components and performing material requirements production planning to meet assigned product line customer demands. Competitive salary starting at $50-60K + bonus incentive plan + employee stock ownership program. Great benefits – medical, dental, vision, and 401k with generous match. Professional growth – You can expect to have a long and fruitful career here, as employees tend to stay for many years, and eventually retire comfortably. Culture – Enjoy working in an excellent, supportive environment with a culture that makes employees feel valued and take pride in what they do. If you have at least 3 years of experience with purchasing and\or planning in a manufacturing environment, they want to hear from you. Act as customer service liaison for assigned customers, including; order management, forecast development, material requirement demand programs and assisting sales team with higher level requests. Translates customer demands into material requirements to produce both purchased and manufactured materials orders. Work directly with assigned suppliers to ensure timely delivery of materials, secure quotations and assist in pricing and terms negotiations. Responsible for maintaining a high level of on time delivery to all customers. Work jointly with other Buyer Planners to schedule production orders and supervise production team to ensure all customer demands are met. Assist in Inventory management by utilizing Lean principles (JIT, Pull systems), vendor managed opportunities, minimum order analysis and make/buy conversions. Support quality matters and engineering changes/developments as it relates to your product line. 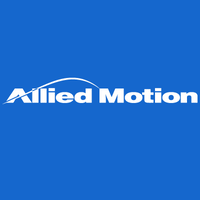 Allied Motion Technologies Inc. is a U.S. public company focused exclusively on serving the motion control market.